American Lock solid steel blade cylinder padlocks feature rekeyable, disc tumbler cylinders that perform extremely well in external applications. Dirt and debris more easily pass through the cylinder and wafers, so the lock does not clog and continues to operate well in any type of harsh weather or conditions. 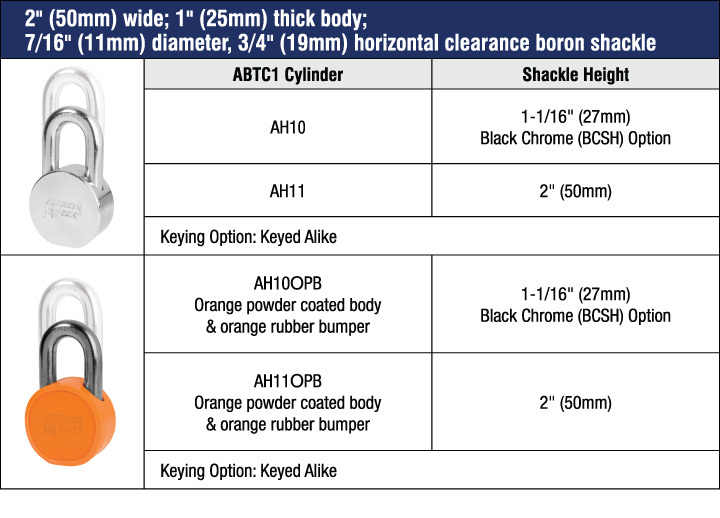 Choices include chrome plated with nickel plated shackles or an orange powder coated body and orange rubber bumper for high visibility application needs.